Add pumpkin and yams to a medium-sized saucepan and bring to a boil; reduce to simmer. Stir sugar, Splenda, maple syrup, ginger, nutmeg, cinnamon, and salt into the pumpkin mixture. Let simmer for twenty minutes, stirring occasionally (use the spatula to mash the yam). Meanwhile, whisk together the half and half, milk, eggs, egg yolks, and vanilla. Remove pumpkin mixture from heat and whisk in the wet ingredients. Place a fine mesh strainer over a medium-sized bowl and pour pumpkin mixture through it. Use the spatula to press mixture through the sieve and discard what doesn’t go through. Whisk the mixture together for a final time to combine thoroughly. Roll out the pie dough into a pie pan prepared with cooking spray; trim and flute the edges. 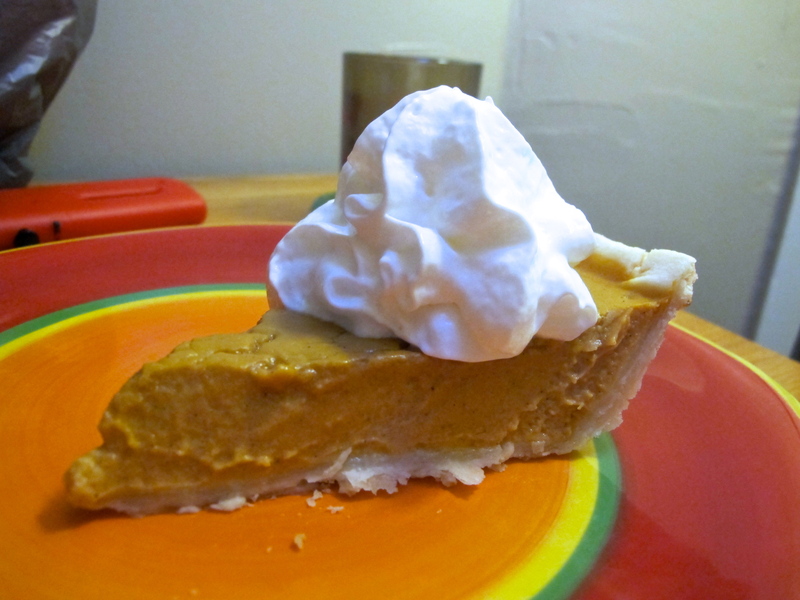 Pour the pumpkin filling into the pie pan and discard what doesn’t fit. (I had about 2 cups extra, including the thick parts that didn’t fit through the strainer, which I did not include in the calorie count). Bake pie at 400˚ for 10 minutes. 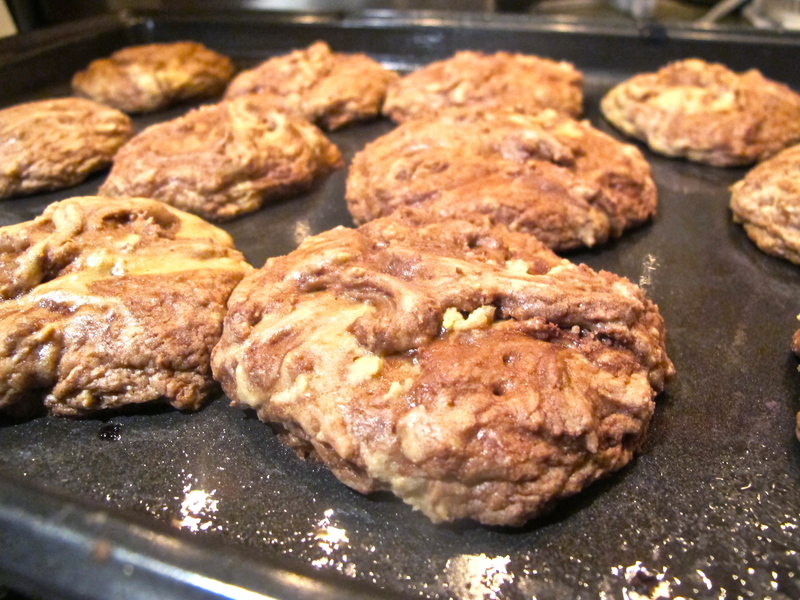 Turn heat down to 300˚ and continue baking for 25-40 minutes (check for doneness with toothpick). Remove from oven and let cool for three hours, then cut into eight slices and serve with whipped cream. This entry was posted in Dessert on January 17, 2014 by Miranda @ Tempest Books. Grease two 8×4 loaf pans (you could also use a large glass baking dish to make a large loaf – but make sure to adjust baking time accordingly). In a large bowl, combine sugar, oil and eggs. Beat until smooth. Add the water and beat until well-blended. Stir in pumpkin, ginger, allspice cinnamon, and clove. In another bowl, combine flour, soda, salt, and baking powder. Add the dry ingredients to pumpkin mixture and blend just until all ingredients are mixed. Pour into pans, and bake for 30 minutes, or until a toothpick comes out clean (it might need a little bit more or less time – just make sure to check it). This entry was posted in Breakfast, Dessert, Muffins & Breads on January 17, 2014 by Miranda @ Tempest Books. 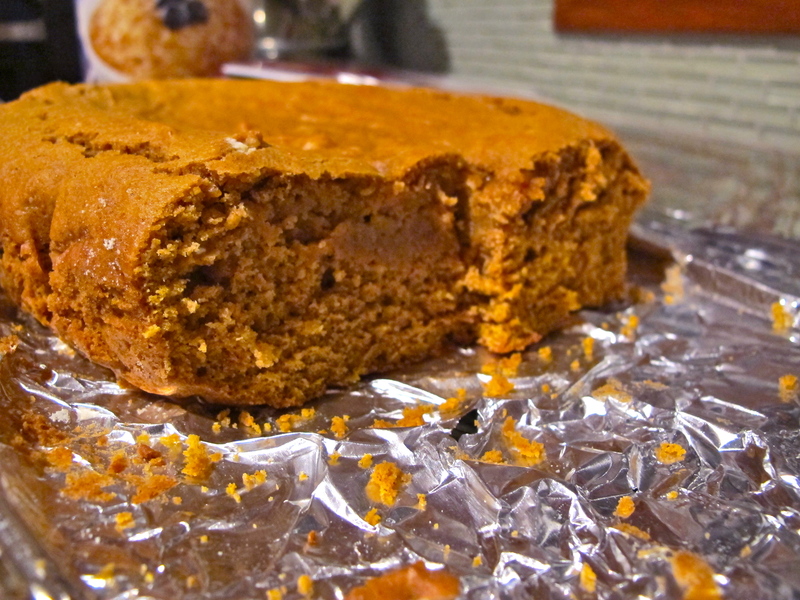 Beat peanut butter and sugar together in a mixer for 2 minutes. Slowly add in half-and-half and milk while continuing to mix. Once the mixture is smooth and creamy, transfer to an air-tight container and place in refrigerator for at least 2 hours. 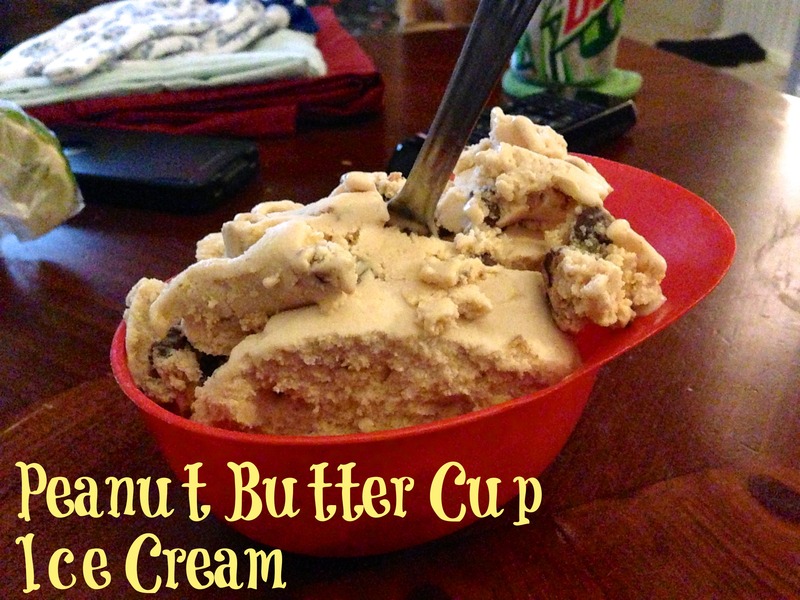 Turn on the ice cream maker, pour the peanut butter mixture in, and churn for 15 minutes. Five minutes before it’s done, add chopped peanut butter cups and chocolate sauce. Serve immediately or freeze in a freezable airtight container. Pour boiling water over oats and let sit until fully absorbed. Meanwhile, combine vegetable oil, peanut butter, applesauce, sugar, and vanilla in a mixer until mixed well. In a medium-sized bowl, combine flours, baking soda, baking powder, salt, cinnamon, and nutmeg. Add oatmeal to the wet mixture and beat until combined. Slowly add dry ingredients to wet until batter is smooth. 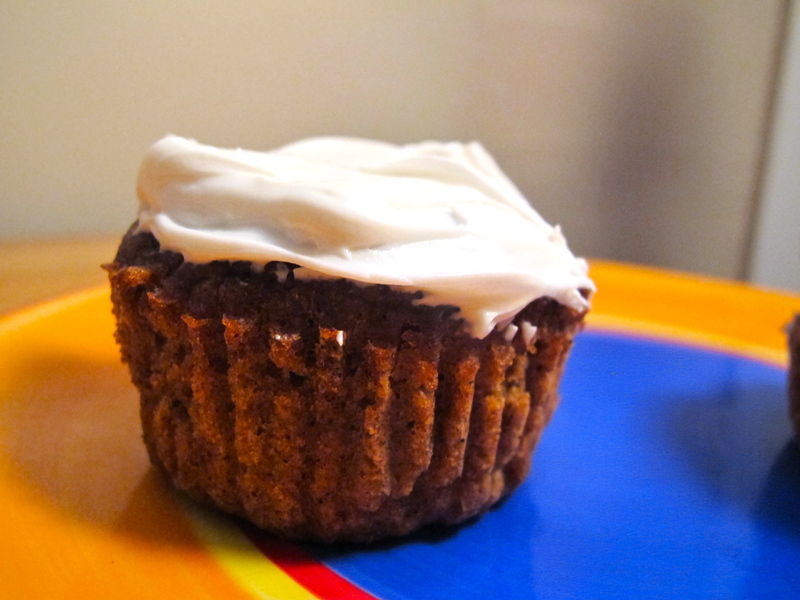 Pour batter into a greased muffin tin and bake for about 15 minutes, or until tops are slightly starting to brown. Let cool. Meanwhile, to make the frosting, combine all ingredients and beat well. Frost cupcakes using a baggie with a corner cut off or a frosting bag. Mix up the flour, baking soda and salt in one bowl. Mix up the butter, sugars, eggs, and vanilla in another. Combine the flour into the butter mixture, then stir in the Nutella! Bake at 375˚ until they look done. Probably about 10-15 minutes. They should have a little bit of an unbaked texture – that’s what makes them so good! 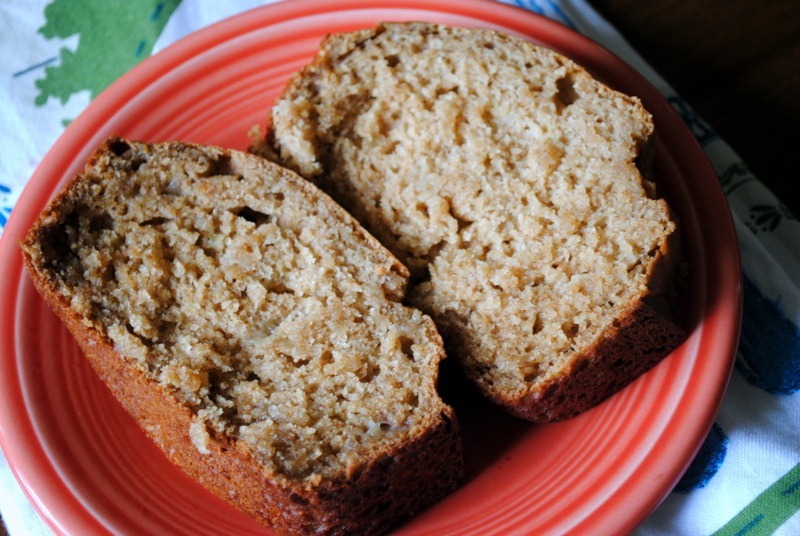 This entry was posted in Breakfast, Dessert, Muffins & Breads on January 11, 2014 by Miranda @ Tempest Books. Boil carrots in water over medium-high heat for 15 minutes (or until very tender); drain and set aside. Meanwhile, combine flour, baking soda, and spices in a bowl together. In a larger bowl, add egg whites and beat. Stir brown sugar, Splenda, and vanilla into the egg whites. Using a blender or food processor, combine carrots, milk, and applesauce until smooth. Slowly add the flour mixture into the egg white mixture until fully combined, then stir in the carrot puree. 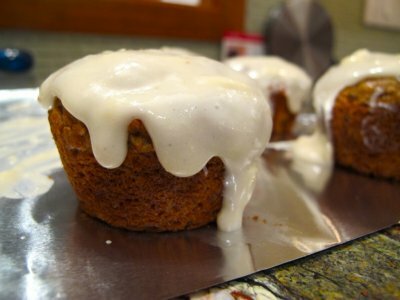 Pour the batter into greased muffin liners in a muffin pan. Bake for around 30 minutes (check with a knife/toothpick every so often). Frost each cupcake with 1 tablespoon of frosting. This entry was posted in Dessert on January 11, 2014 by Miranda @ Tempest Books.